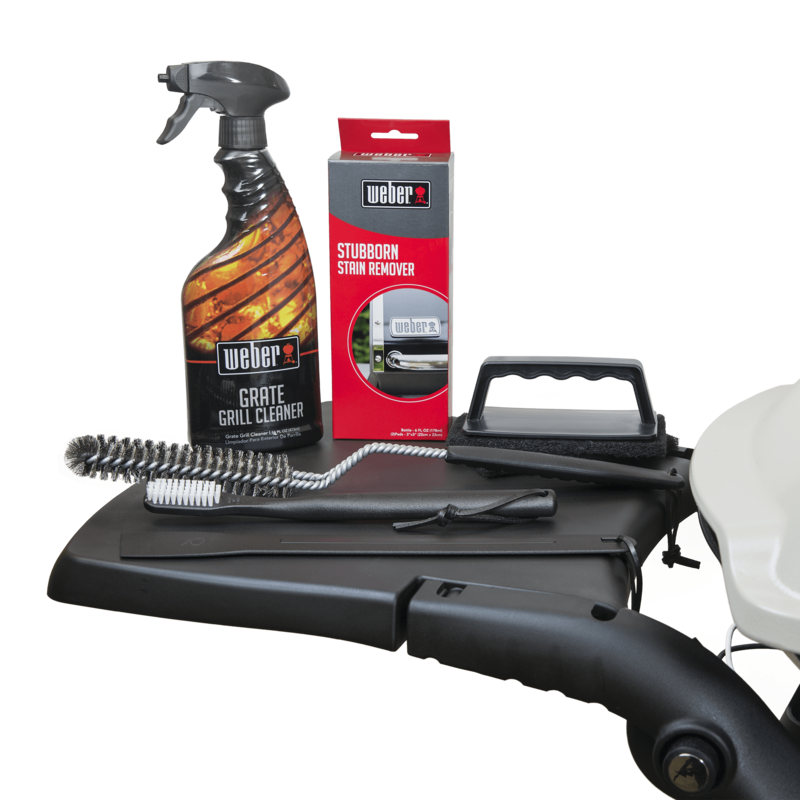 The Weber Stainless Steel Grill Maintenance Kit is sure to keep your grill cooking and looking like new. 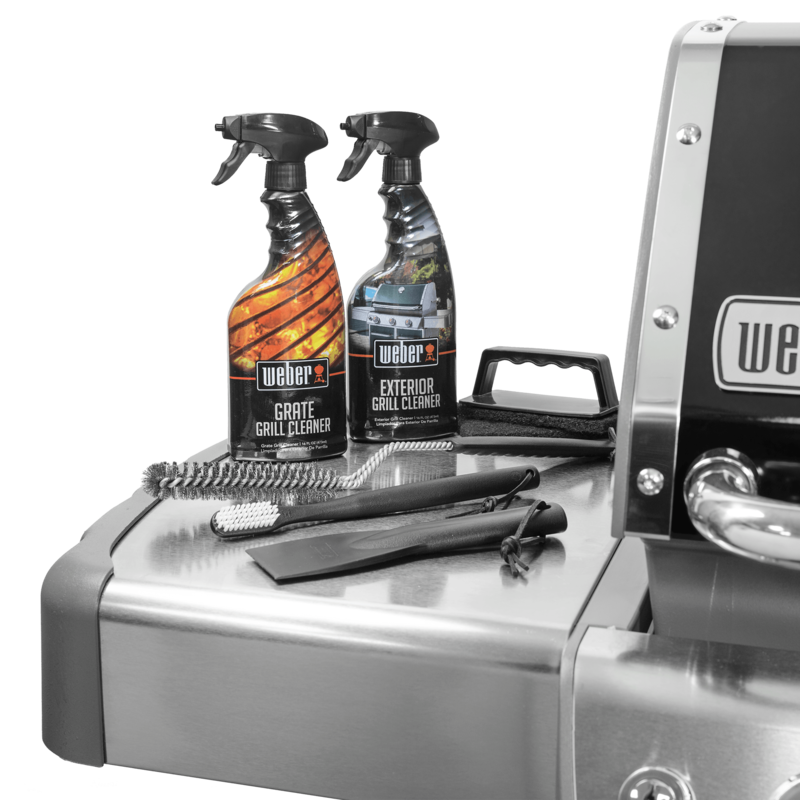 This kit is safe to use on all Weber grills with stainless steel exterior finishes. Kit includes: Grate Cleaner, Grate Scrubber with three scrubbing pads, Spider Screen Brush, Stainless Steel Bristle Brush, Cookbox Scraper, and Stainless Steel Polish. Weber® Stainless Steel Grill Maintenance Kit is rated 4.8 out of 5 by 6. Rated 5 out of 5 by Jason A from Excellent Purchase! Bought this kit to maintain my stainless steel grill and I couldn’t be more pleased. The cleaners work great and the polish gives the grill a beautiful shine. The included tools come in very hand to keep the grill clean and ready to use at all times. Rated 5 out of 5 by Randall1021 from A must for all Weber owners! Bought this cleaning / maintenance kit to help maintain the looks and functionality of my Summit built in. Couldn't be more pleased with the results I got. As with all things Weber, I couldn't be happier.